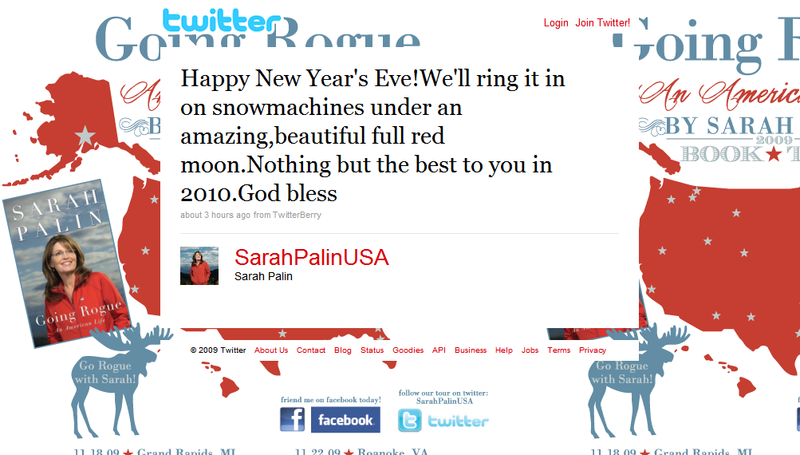 Happy New Year’s Eve to you also, Governor Palin and family! And a happy New Year 2010! God bless you and your family also, and God bless America!